Founded in 1869 the HMC exists to enable members to discuss matters of common interest and to influence important developments in education. It looks after the professional interests of members, central to which is their wish to provide the best possible educational opportunities for their pupils. 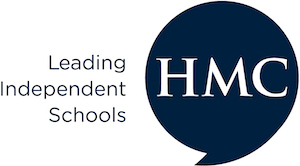 The Heads of some 281 leading independent schools are members of The Headmasters’ and Headmistresses’ Conference, whose membership now includes Heads of boys’, girls’ and coeducational schools. International membership includes the Heads of around 54 schools throughout the world. The great variety of these schools is one of the strengths of HMC but all must exhibit high quality in the education provided. While day schools are the largest group, about a quarter of HMC schools consist mainly of boarders and others have a smaller boarding element including weekly and flexible boarders. All schools are noted for their academic excellence and achieve good results, including those with pupils from a broad ability band. Members believe that good education consists of more than academic results and schools provide pupils with a wide range of educational co-curricular activities and with strong pastoral support. Only those schools that meet with the rigorous membership criteria are admitted and this helps ensure that HMC is synonymous with high quality in education. There is a set of membership requirements and a Code of Practice to which members must subscribe. Those who want the intimate atmosphere of a small school will find some with around 350 pupils. Others who want a wide range of facilities and specialisations will find these offered in large day or boarding schools. Many have over 1000 pupils. About 30 schools are for boys only, others are coeducational throughout or only in the sixth form. The first girls-only schools joined HMC in 2006. There are now about 25 girls-only schools. Within HMC there are schools with continuous histories as long as any in the world and many others trace their origins to Tudor times, but HMC continues to admit to membership recently-founded schools that have achieved great success. The facilities in all HMC schools will be good but some have magnificent buildings and grounds that are the result of the generosity of benefactors over many years. Some have attractive rural settings, others are sited in the centres of cities. Pupils come from all sorts of backgrounds. Bursaries and scholarships provided by the schools give about a third of the 220,000 pupils in HMC schools help with their fees. These average about £30,000 per annum for boarding schools and £13,000 for day schools. About 170,000 are day pupils and 43,000 boarders. Entry into some schools is highly selective but others are well-suited to a wide ability range. Senior boarding schools usually admit pupils after the Common Entrance examination taken when they are 13. Most day schools select their pupils by 11+ examination. Many HMC schools have junior schools, some with nursery and pre-prep departments. The growing number of boarders from overseas is evidence of the high reputation of the schools worldwide. The independent sector has always been fortunate in attracting very good teachers. Higher salary scales, excellent conditions of employment, exciting educational opportunities and good pupil/teacher ratios bring rewards commensurate with the demanding expectations. Schools expect teachers to have a good education culminating in a good honours degree and a professional qualification, though some do not insist on the latter especially if relevant experience is offered. Willingness to participate in the whole life of the school is essential. Parents expect the school to provide not only good teaching that helps their children achieve the best possible examination results, but also the dedicated pastoral care and valuable educational experiences outside the classroom in music, drama, games, outdoor pursuits and community service. Over 90% of pupils go on to higher education, many of them winning places on the most highly-subscribed university courses. All members attend the Annual Conference, usually held in a large conference centre in September/October. There are ten divisions covering England, Wales, Scotland and Ireland where members meet once a term on a regional basis, and a distinctive international division. The chairman and committee, with the advice of the general secretary and membership secretary, make decisions on matters referred by membership-led sub-committees, steering groups and working parties. Close links are maintained with other professional associations in membership of the Independent Schools Council and with the Association of School and College Leaders.